Abraham | What's Peeps Thinking About Now? It's Probably Random! We’re up to the last weekend of October. It might be hard to believe, for some, that in the next couple of weeks, some radio stations will be switching over to continuous Christmas music. Bring it on! Thank you for checking out my random thoughts and have a great Halloween weekend. It’s been a few years now since I last dressed up for Halloween. 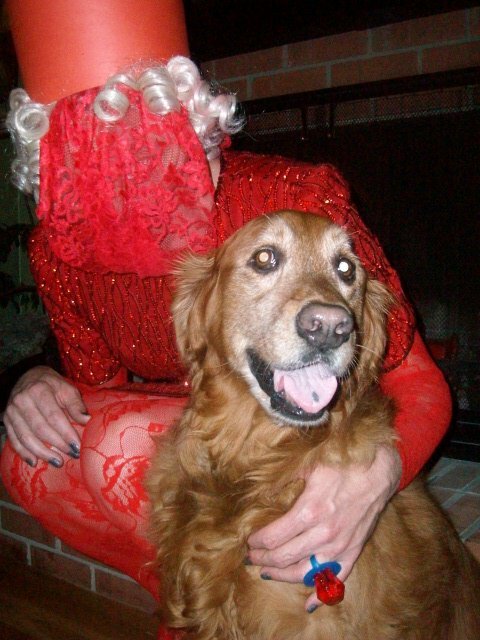 In 2010, we had a big Halloween party and I dressed as Lady Gaga at the 2009 MTV VMA show. I even tortured my golden retriever, ABBA, by putting the wig and outfit on her, too! This Halloween, for our morning show, a local haunted house, Skellington Manor in Rock Island, Illinois, took me and my co-anchors, Emily and James, behind the scenes. To make the deal even sweeter, they made us up as a pumpkin, a broken doll, and a skeleton. Thank you Jenn, our amazing make-up artist, and Penni, the owner of Skellington Manor and our hostess! While some people just put out pumpkins or jack-o-lanterns at Halloween or for fall, some like to go all out with decorations. And, some get creative. Check out this cool display in my neighborhood in Moline, Illinois. Incorporating this scary election season into Halloween makes it even better. The world lost a creative force and an early LGBT ally this past weekend. Dead or Alive lead singer and fashionista Pete Burns died of massive cardiac arrest. For 1980s music fans, he was cutting edge, not only in dance clubs, but on the international pop scene. While he and his band may not have achieved the chart success of other English acts at the time like Culture Club and Duran Duran, Pete endured and stayed in the spotlight long after radio hits became obsolete. Mainstream America knows Dead or Alive from their two Top 40 pop hits, “You Spin Me Round (Like a Record)”, which reached #11 on the Billboard Hot 100 in 1985 and the #15 smash “Brand New Lover” in 1986. Both of those songs reached the Top Five on the Dance Club Play charts in America — “Brand New Lover” hit #1 for two weeks. They scored five other Top Ten dance hits. Two years ago, I read Pete’s autobiography, “Freak Unique” and wrote this blog, which I’m happy to say, prompted a Twitter correspondence between the two of us. Here’s that blog and it’ll open in a new window, so you won’t lose your place in today’s blog! The season seven premiere slaughtered not only its competition Sunday night with 17 million viewers, but in the key demograpics (ages 18-49), it had a 8.4 rating! That’s higher than “Sunday Night Football”, “Empire” and “The Big Bang Theory”. Ratings were also up 22% over the season six finale. I guess everyone had to tune in to see what main character was bashed to death by Negan and his trusted barbed-wire baseball bat, Lucille. Well, thank God, Rick survived, but he’s definitely a broken man! 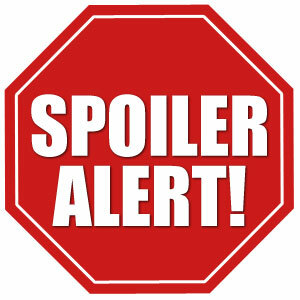 Oops, I should have said, “spoiler alert”! I’m kidding. I’m not going to mention who died at the hands of Negan. However, if you’ve been online since Sunday night, there’s no way you could avoid knowing who died! “We already know that a major character is savagely murdered. My guess is Abraham, but an online poll has Glenn at 36% and Abraham at 32%. 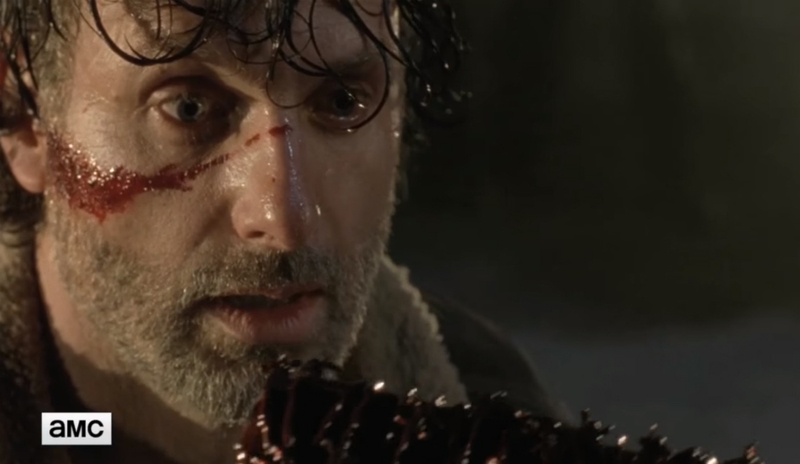 The season seven premiere was the second most watched “The Walking Dead” episode ever. The most watched was the season five premiere with 17.3 million viewers and 18-49-year-olds demo of 8.8. We’ve all heard Republican presidential nominee Donald Trump’s claims that this year’s election is rigged — because he’s losing in polls. On “Saturday Night Live”, “Weekend Update” host Michael Che has an opinion. His “Update” co-anchor Colin Jost adds his thoughts about how silly it is for Trump to accuse the media of rigging the election against him because he’s the greatest thing to come along for them. War is brutal and this Civil War drama, based on a true story starring Oscar winner Matthew McConaughey, is no exception. The opening scenes are ultra violent. However, it’s the racism of the 1860s that’s heartbreaking. McConaughey plays Newton Knight, a Mississippi farmer that worked as a medic in the Confederate’s fight against the Union. He was opposed to slavery and became a deserter after the death of his soldier nephew. The movie follows the plight to freedom before and after President Lincoln freed slaves. As I said many times, the whole premise of the Ku Klux Klan, is so sad and disgusting and is such a disgrace to mankind. While the KKK plays a prominent role in “Free State of Jones” and in American history, it’s even sadder that a century after the Civil War, we saw how prevelant the KKK was in the South. Hell, even now 150 years after the Civil War, Republican presidential candidate Donald Trump is still waging a race war. However, he’s not just directing it toward the African American population, there’s Muslims, and the list goes on and on. Remember to vote November 8th for the future of America and tolerance. Send Trump and his group of deplorables* away. *For the record, not all Trump supporters are deplorable. 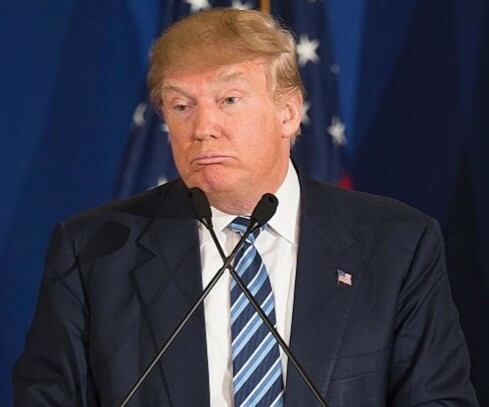 Many are just disillusioned with the political scene and mistakenly think that the change they want can only be brought about by this blowhard! This endorsement approved by me! Pop star Kelly Clarkson is working on new material and she says it’s some of her favorite. She recently told “Entertainment Weekly” that she had to sneak and listen to anything risque growing up. So, in honor of that, here are two of her “bad” influences, including her mother-in-law! 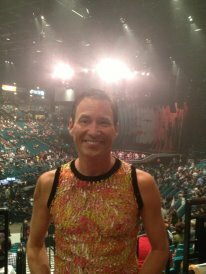 Last October, I was fortunate to see Madonna’s “Rebel Heart Tour” in Saint Paul, Minnesota and it was phenomenal. In December, the “Rebel Heart Tour” is coming to Showtime! I can’t wait for the DVD release. The 82 shows made $169.8 million with over one million attending the concerts across North America, Europe, Asia, and Oceania. It might be hard to believe that there are only nine weeks left in 2016. Maybe not since we’re already into the holiday(s) season with Halloween on Monday. With that being said, here are the top five selling songs of the year, so far. At #5 is Justin Bieber “Love Yourself” (1.76 million downloads), Drake is at #4 with “One Dance” (1.9 million downloads), Lukas Graham’s “7 Years” is at #3 (2.03 million downloads), Flo Rida’s “My House” is at #2 (2.14 million downloads), and the most downloaded song in 2016 at 2.16 million is Justin Timberlake’s “Can’t Stop This Feeling!”. Timberlake’s song is from the “Trolls” movie that hits theaters next Friday, November 4th. CHRISTMAS INSANITY WITH MISS PATTI LABELLE! While it’s not even Halloween, it’s the holiday(s) season. With several major country Christmas releases coming out today, it’s time to move begrudgingly into the merry holiday. Ironically, “This Christmas” was the title track of her 1990 holiday album. You’d think she’d be a little more familiar with the song or, at least, rehearsed it some before hand?